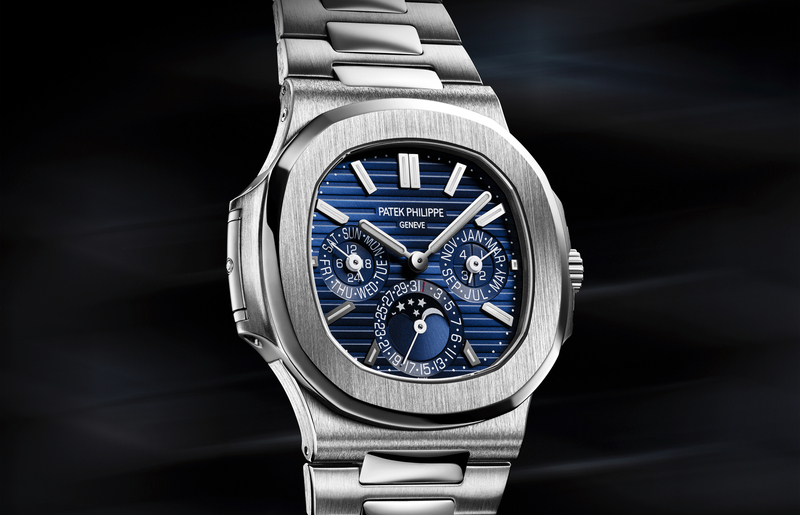 Patek Philippe has just unveiled a new version of their iconic Calatrava Ref. 5227. The new timepiece features a solid dust cover protecting its clear case back. This “hunter” or “officer’s” case back is unique on the market in that is has invisible hinges. Furthermore, the solid case back, on top of the sapphire caseback, adds barely anything to the very thin timepiece, which measures 39 mm in diameter by only 9.24 mm thick, assuring the wearer the comfort and elegance that the Calatrava is known for. The perfectly integrated dust cover was designed and conceived in-house. There is a small lip, that is barely noticeable, which allows the owner to open the hinge should they want to look at or show off the beautifully finished self-winding manufacture caliber 324 SC movement. It features a four-arm Gyromax® balance with a Spiromax® balance spring made of Silinvar® and it beats at a frequency of 28,800 vph (4 Hz). 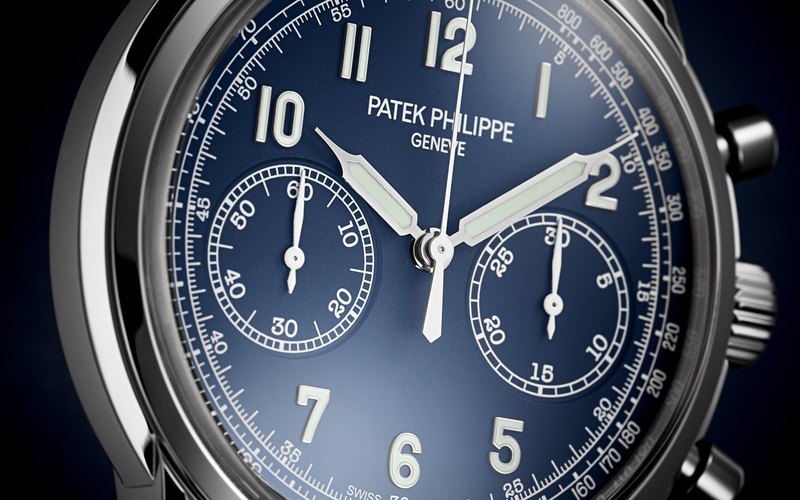 It is accurate to the rate specified by the Patek Philippe Seal, which is -3 to +2 seconds per day. The finish is exquisite, as you would expect from Patek Philippe, from round chamfered and polished bridge edges to Geneva striping, and from gold-filled engravings to circular graining and the Calatrava cross that adorns the winding rotor. The rotor is made of solid 21K gold to extract as much winding energy as possible from even the slightest motions of the wrist. Not to mention, gold oscillating weights just look better, and are smaller than a steel weight, therefore, obstructing less of the view of the finely finished movement components. The classic Calatrava case features a concave bezel, slightly curved lugs and fluted case sides create a very sleek silhouette. The case is manually polished to a mirror sheen. 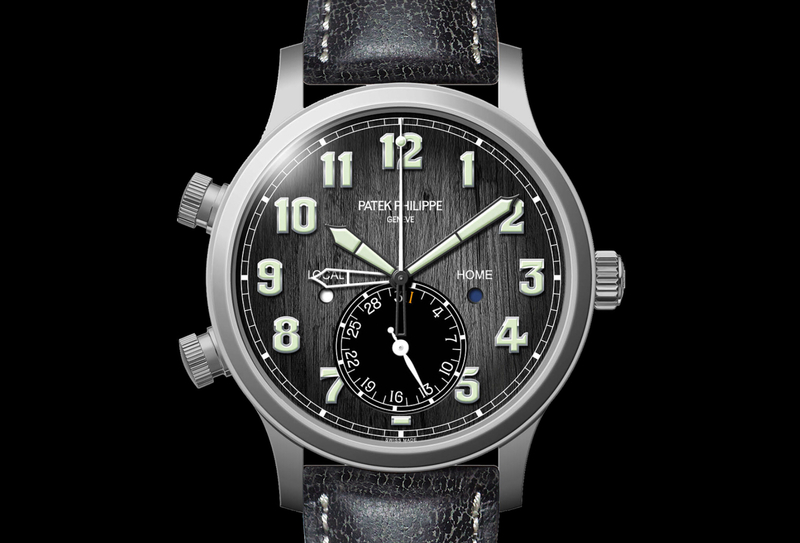 This is a Patek Philippe, and so not detail is left untouched. The cream-colored lacquer dial, for example, is not a typical lacquer dial, instead it consists of twelve layers. Newly designed trapezoidal hour markers in gold are applied by hand, along with dainty golden dots which form the minute circle. The aperture date is displayed at 3’oclock inside a polished gold frame. Two pointed and faceted Dauphine hands in gold indicate the hours and minute;along with the counterbalanced sweeping seconds hand which is in gold as well. The dial is protected by a slightly cambered sapphire crystal. The Ref. 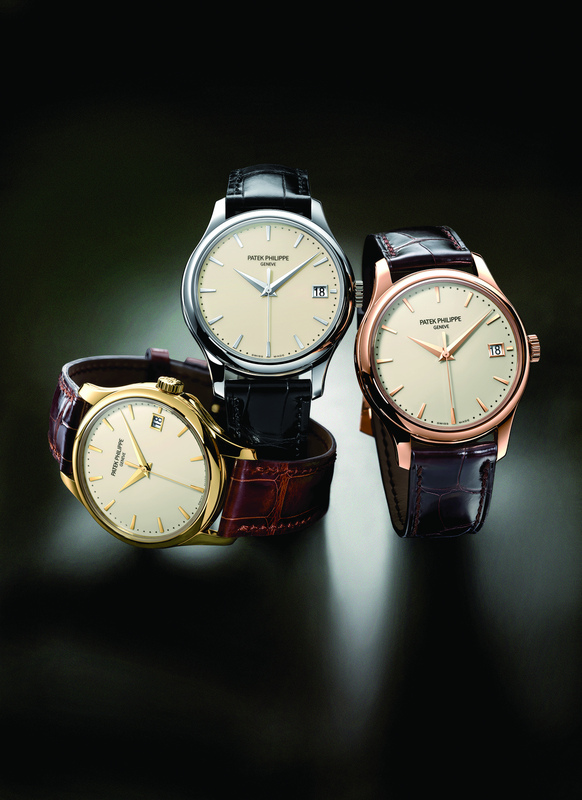 5227 will be available in 18K white, rose (5N) or yellow gold. It comes on a hand-stitched alligator strap with large square scales and a matching gold prong buckle. The strap is shiny black for the white gold model, shiny chocolate brown for the yellow gold version, and shiny dark brown for the model in rose gold. The price is $37,300 in white or rose gold, and $35,400 in yellow gold.